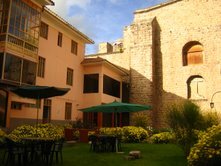 The Hotel El Rosal is located in the historic, legendary and majestic city of Cusco, Peru, and offers a comfortable stay, safe and cozy. 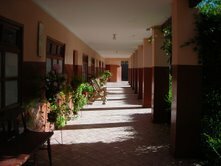 We have 29 comfortable rooms with private bathrooms and hot water 24 hours a day. We offer additional services like cafeteria, laundry, telephone, luggage custody, safe, exchange money, flight confirmation, fax, internet and others. 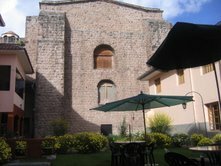 Another advantage of the hotel at El Rosal is located in the historic center of Cusco, the distance to points of interest are very short: 10 meters from the train station of Machu Picchu, 5 minutes walk from the Plaza de Armas (Main Square) 10 minutes walk from the Plaza San Blas, where are the main craft shop of the city and 15 minutes by taxi from the airport. All rooms have heating and room service. 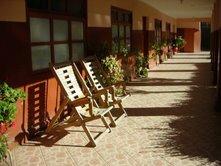 If you want to relax the Hotel El Rosal also offers you a massage room with professional service and jacuzzi. 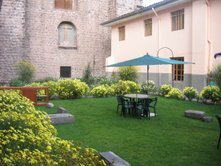 A beautiful garden where you can take a sunbath or read in moments of leisure. If you want to also have a conference room. Likewise in a restaurant that serves breakfast, lunch and dinner with tipycal food and international cuisine. 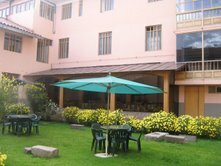 Hotel El Rosal is located in the heart of the city of Cusco. In San Pedro, one of the most tranquil areas of the city. A five minutes walk from the Plaza de Armas (Main Square), the streets leading to it are very pedestrian and tourist. El Rosal is located in the historic center of Cusco, the distance to points of interest are very short: 10 meters from the train station of Machu Picchu, 5 minutes walk from the Plaza de Armas (Main Square) 10 minutes walk from the Plaza San Blas, where are the main craft shop of the city and 15 minutes by taxi from the airport.